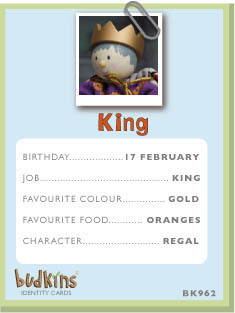 Miniature dolls from Le Toy Van’s Budkins collection are delightfully delicate and tons of pretend play fun, like this Budkins King! 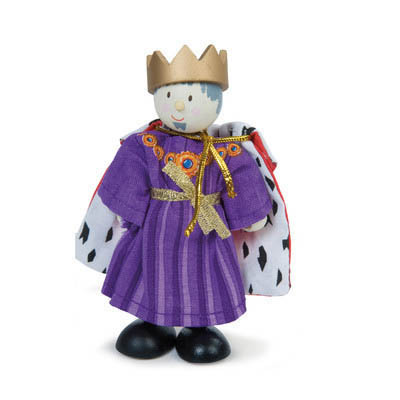 Absolutely adorably styled, this royal king will delight your little one and quickly become a part of their pretend play every day! Poseable and with beautifully detailed hand-finished fabric outfits, these wooden dolls are truly delightful collectible miniature dolls. Hours of fun play in store as kids bring their pretend play to life with this perfectly poseable 10 cm bendable king.